We’re here for you. It’s just that simple. In fact, we’ve been here for you for over 50 years! After that much time, it really is simple to understand why we’ve been able to learn, and evolve to offer so much more than most Volkswagen dealerships in Canada! 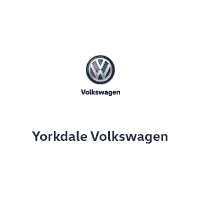 Whether you’re looking for a new Volkswagen or a Volkswagen Certified Pre-Owned; whether you’re here to get your Volkswagen serviced, or need new windshield wipers from our Volkswagen Original Parts and Accessories department, you will feel the Yorkdale Volkswagen difference as soon as you walk in. Come and discover our lineup of brand new Volkswagen vehicles as well as our extensive collection of top-quality, certified pre-owned vehicles today at Yorkdale Volkswagen. We have plenty of brand new Volkswagen Tiguan models to choose from as well as a full collection of new Volkswagen Jetta and Golf vehicles. For your convenience, Yorkdale Volkswagen offers free coffee, two comfortable waiting areas equipped with free Wi-Fi, and our very own in-house café called ‘Punch Buggy’s’ if you want a snack or a meal. When it comes to our service department, we have a convenient drive-through service bay so there’s no need for you to find a parking spot outside and walk in; just pull right up and head to our service expert counter. What’s more? We offer a free wheel alignment check, a free 30-point inspection, and even our very own free car wash! If you have to be at work, have some shopping to do at the nearby Yorkdale Shopping Center, or, if you would just rather be at home, our service shuttle will drop you off at the destination of your choice, and pick you back up when your Volkswagen is ready! Come in today to discover the Yorkdale Volkswagen difference as well as our complete collection of brand new and pre-owned Volkswagen vehicles.